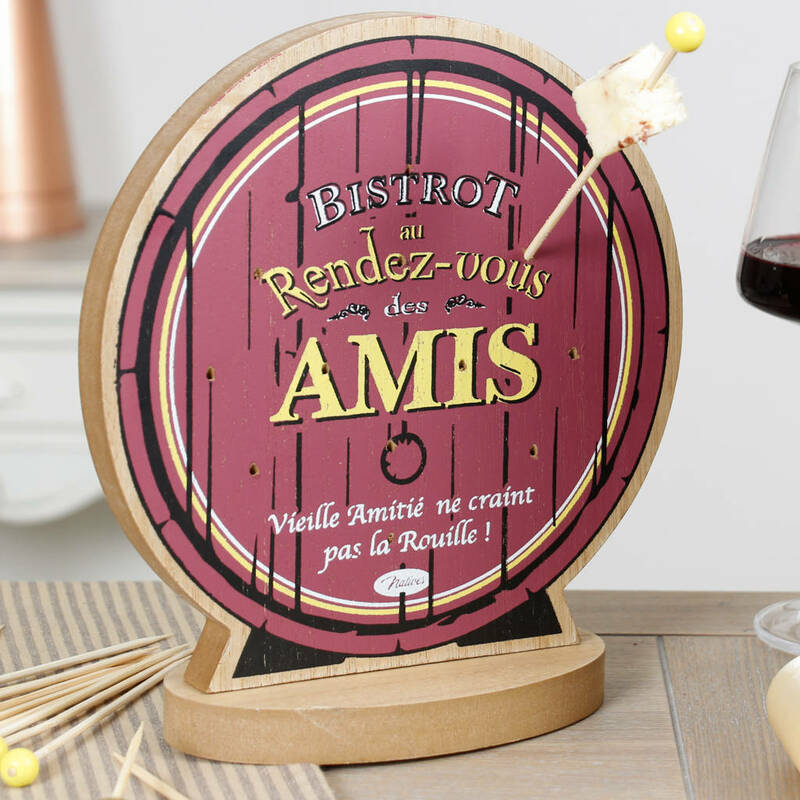 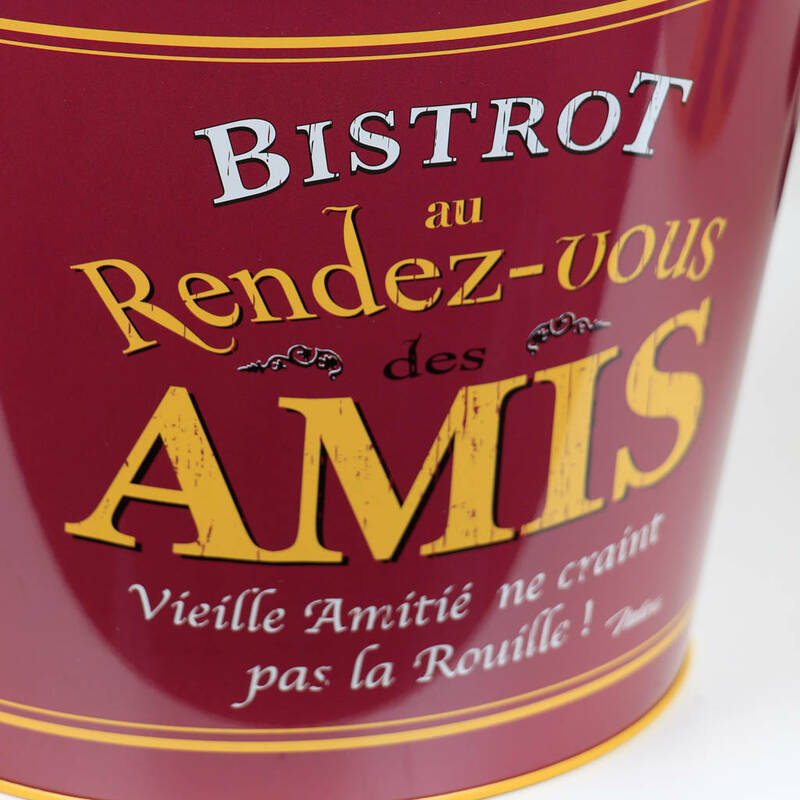 A fantastic collection of novelty barware accessories in a bold, retro French design. 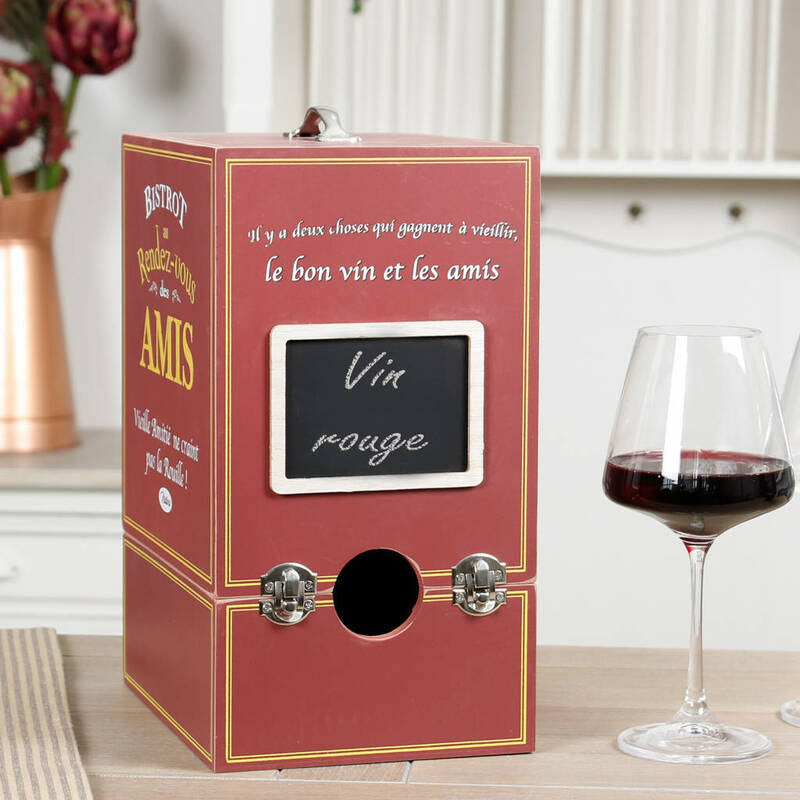 Perfect for hosting, and sure to impress guests. 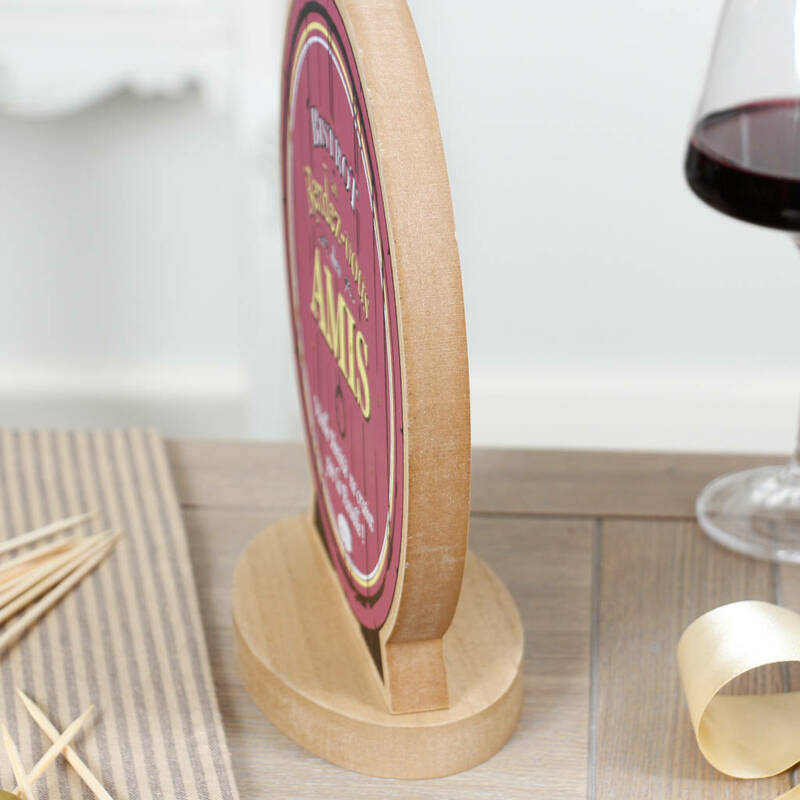 A cocktail pick holder made from high quality wood with a base to keep it upright, and a set of extra long cocktail sticks that can be stuck in the frame. 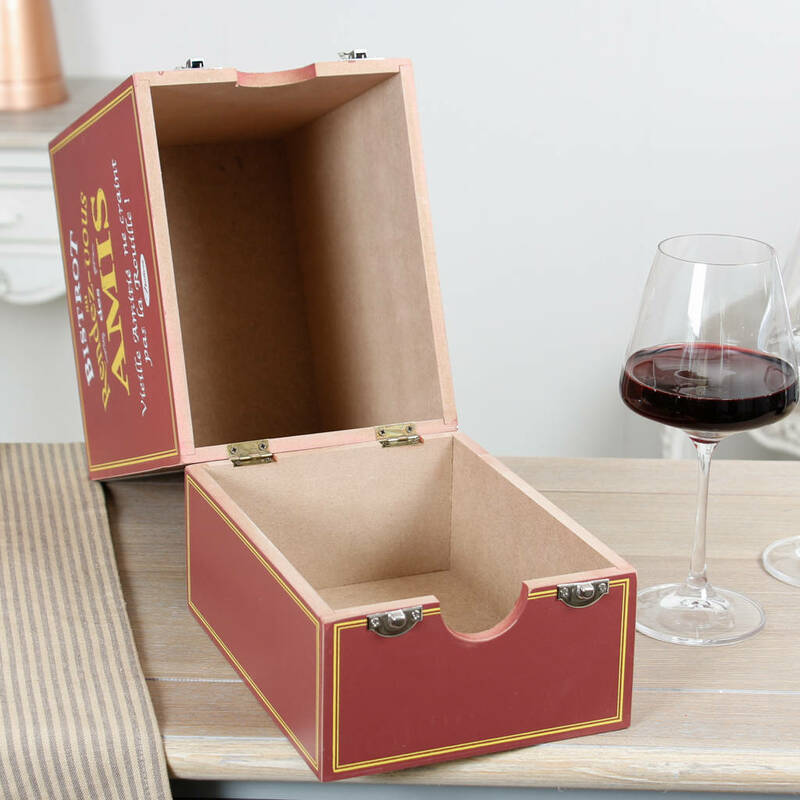 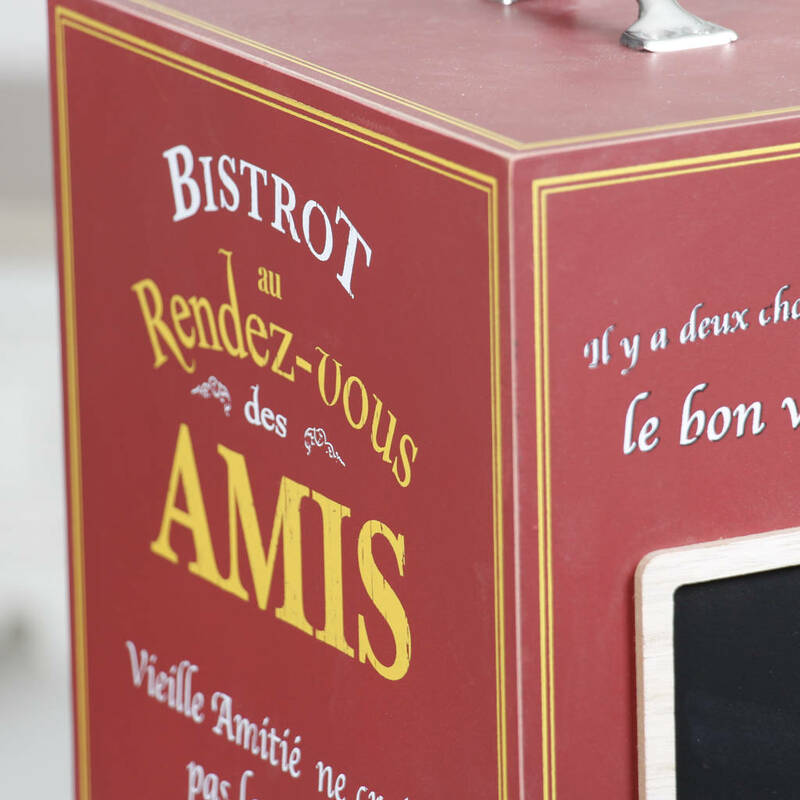 The wooden wine box is perfect for serving boxed wine at the dining table. 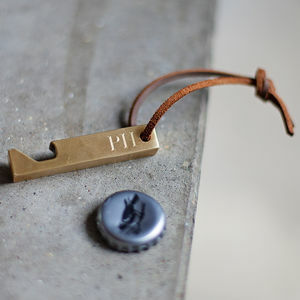 A clasp opening and sturdy carry handle make it easy to transport. 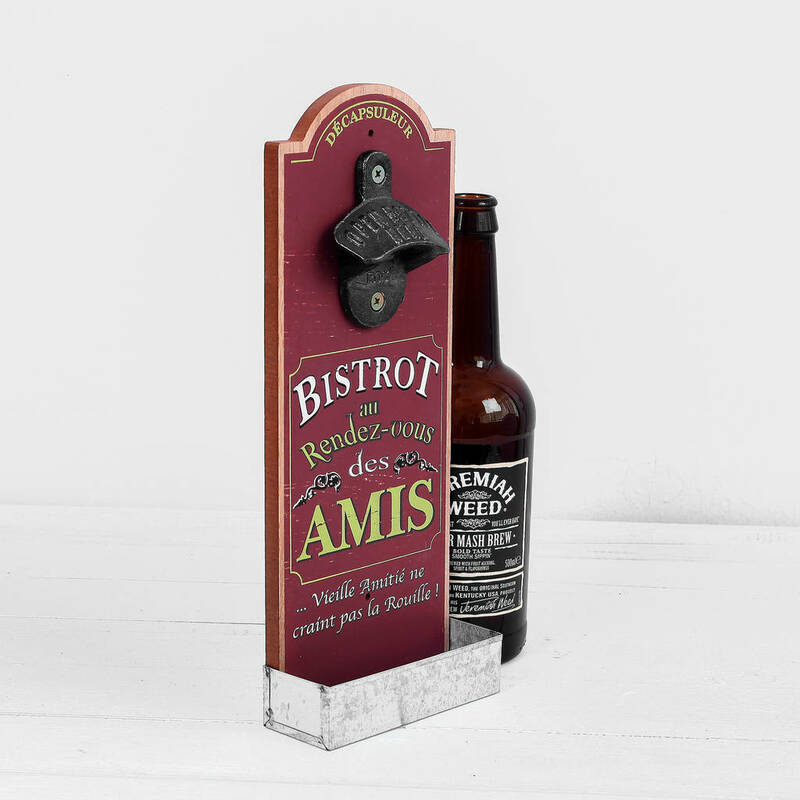 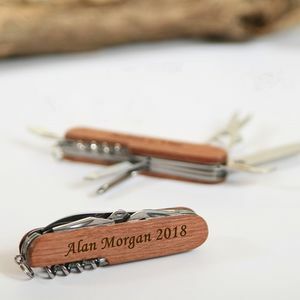 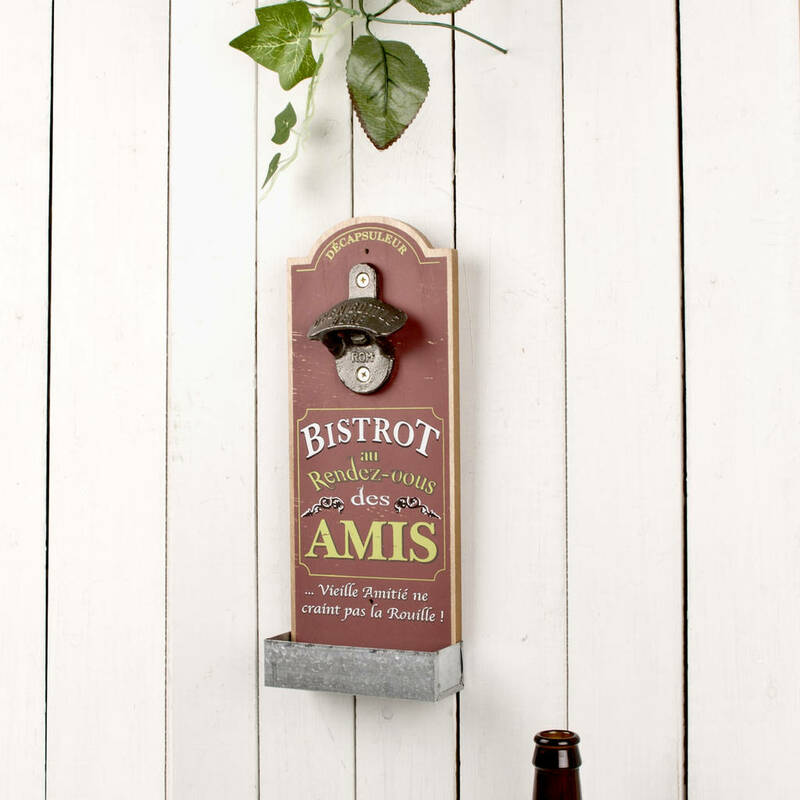 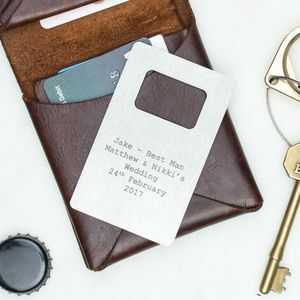 A sturdy wall mounted bottle opener with iron bottle opening clasp also features a handy zinc cap catcher to the base. 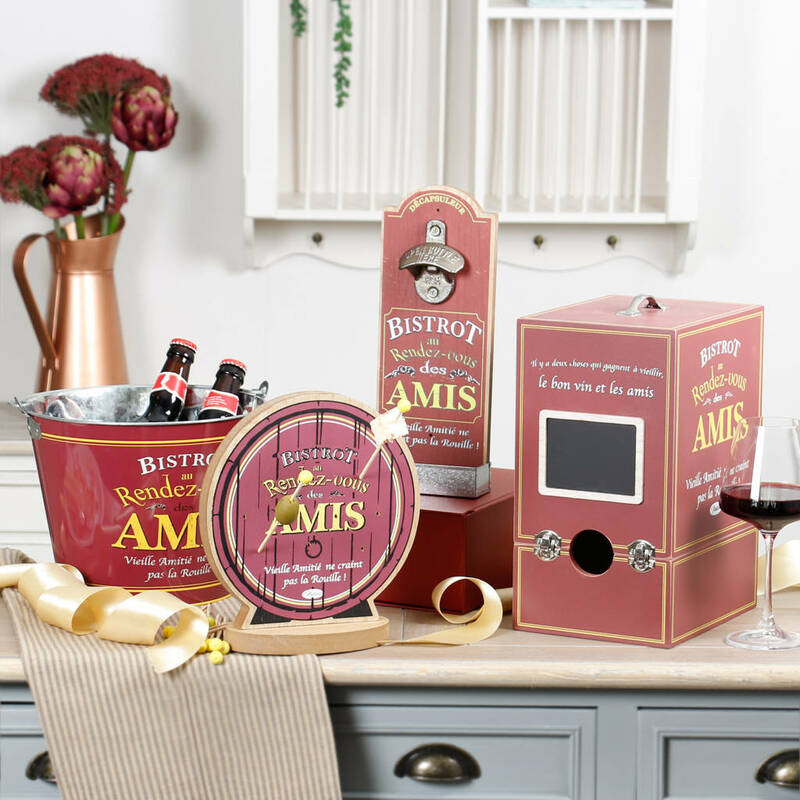 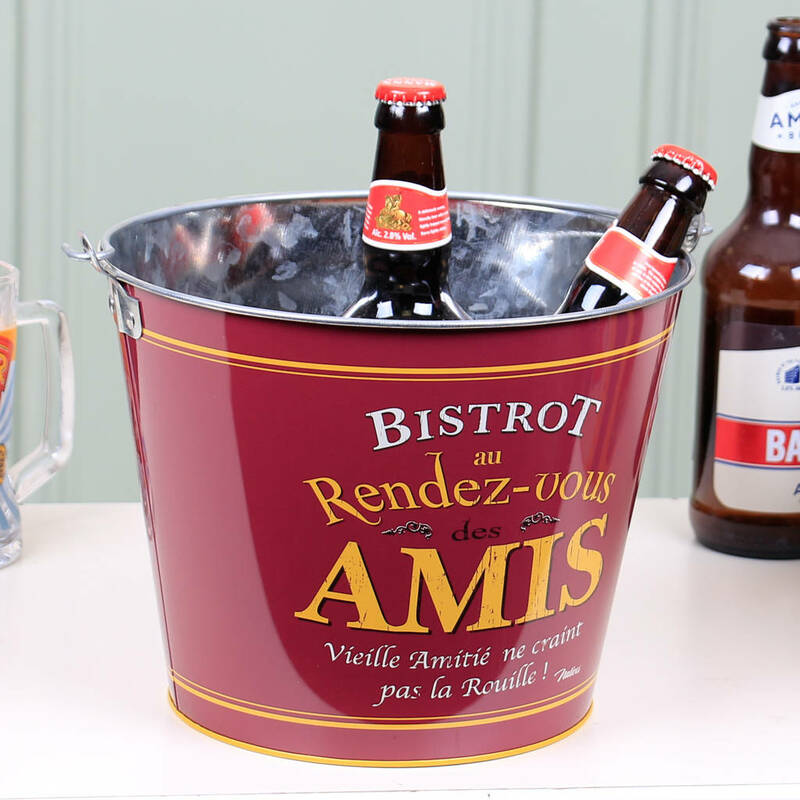 The metal cooler bucket is a great accessory for a home bar, dinner party or barbecue. 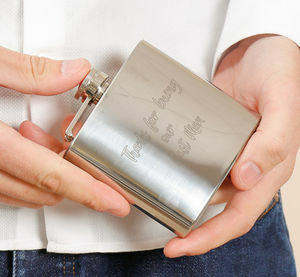 Guaranteed to keep beer and wine cool once filled with ice. 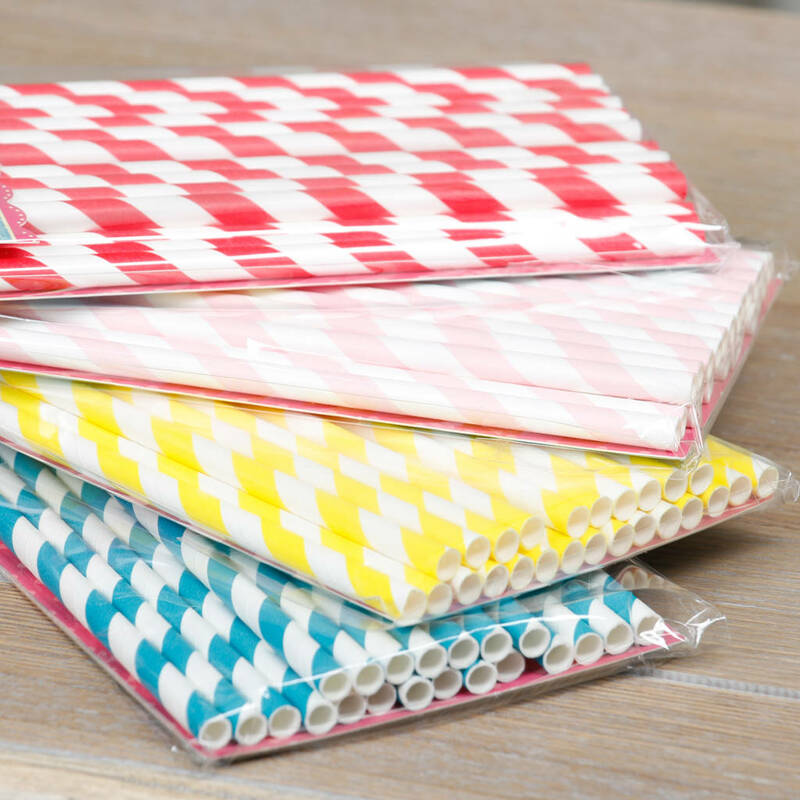 For just £2, why not complete your order with a pack of 25 Candy Stripe Straws in blue, yellow, red or pink?